Dave Checketts is an American Sports Businessman. He is well known throughout the sporting industry. Checketts attended the University of Utah and later earned a master’s degree in business administration from Brigham Young University. After graduation, he joined the Boston-based consulting firm of Bain & Company. At 28, he became president and general manager of the Utah Jazz, making him the youngest chief executive in National Basketball Association history. He then spent a year as the general manager of NBA International, where he worked to increase the league’s presence around the world. He became president of the New York Knicks in March 1991, and in his four seasons as president, the team made it to the Eastern Conference Finals three times and went to the NBA Finals in 1994. The team set records for attendance, television ratings and revenue under his watch but the club failed to win the NBA Finals. He went on to become president and chief executive officer of Madison Square Garden, the company that owns the New York Rangers, New York Knicks, New York Liberty of the WNBA and Madison Square Garden and the MSG television network. In 1997, MSG acquired Radio City Music Hall. From 1998 to 2001, the Rangers failed to make the playoffs four straight seasons despite having one of the highest payrolls in the NHL. In September 2001, Checketts founded SCP Worldwide, a consulting and investment service firm for sports teams. In 2002, SCP acquired SportsWest Communications, a syndicated broadcaster of college sports. In July 2004 SCP bought into Major League Soccer and established a team in Utah, Real Salt Lake, which began play in April 2005. On September 29, 2005 it was announced that SCP had officially signed an agreement to purchase the St. Louis Blues. In 2009, Checketts was in an ownership group along with talk radio host Rush Limbaugh that was publicly linked to a potential purchase of the St. Louis Rams of the National Football League; after numerous NFL players objected to Limbaugh owning an NFL team, Checketts dropped Limbaugh from the group and never made a bid for the team. 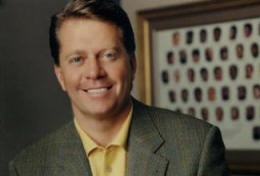 Checketts was hired in 2011 to serve as a consultant for new Detroit Pistons owner Tom Gores.